Martial arts training at Champion Taekwondo is not just about the physical skills, it includes development of character. All students are expected to observe the five tenets of courtesy, integrity, perseverance, self control, and indomitable spirit both on and off the mat. 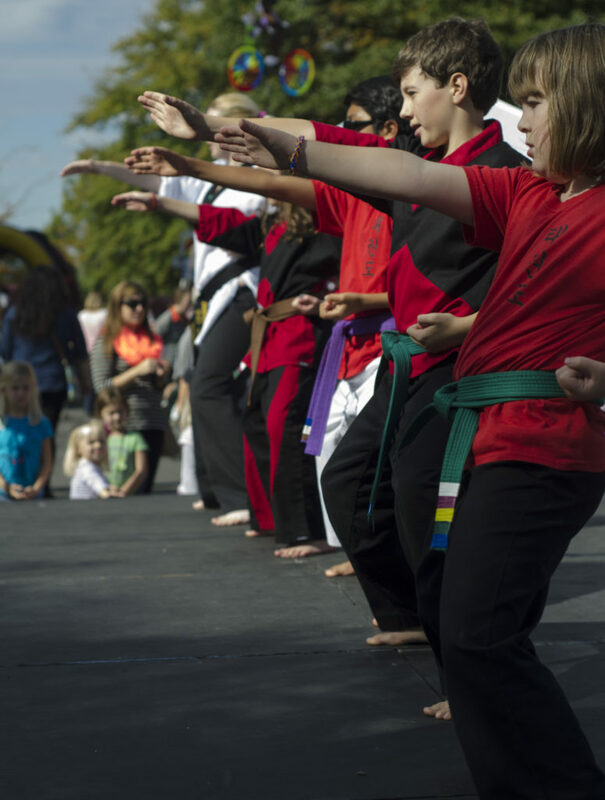 We encourage developing a deeply personal practice of martial arts. We support that process so each person learns to be accountable for developing themselves. We believe in the growth of the individual and the effect it has on our community. We train people who strive to maximize their potential for the benefit of those around them. We live our core tenets of courtesy, integrity, perseverance, self control, and indomitable spirit. We serve by pointing our hearts and minds toward this common purpose. We prevail by building a legacy of meaningful relationships and sustainable character foundations that transcend martial arts training and give us the awareness to advance ourselves and the world. Our curriculum follows the Kukkiwon style, which is known for dynamic kicking techniques. Brazilian Jiu-Jitsu is a martial art, combat sport, and a self defense system that focuses on grappling and ground fighting. Pop Up Dojo is our program for children with unique talents. We offer a Saturday morning class led by a father and son black belt team. Hello, I’m Jennifer. I’m a professional martial arts instructor and studio owner. This is the story of why I got involved in martial arts and why I’ve stayed with it so long. I grew up south of Charlotte when it was farms, not suburbs. My first interest in martial arts was sparked watching Wonder Woman on television. I remember being frustrated when my tin foil wrist bands didn’t hold up to my vigorous bullet deflecting practice. There wasn’t much around back then in the way of martial arts studios, and I didn’t start formal training until the fall of 1996. I was 22. I was overweight and overwhelmed. I had a six month old baby daughter. I had been overweight and overwhelmed as long as I could remember and I wanted to change. I was desperate for change. I wanted better for my daughter.